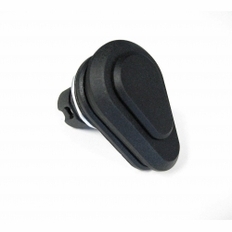 This Pop & Lock Replacement handle will work on any FRAMELESS, BONDED rear glass door or tonneau cover with a 1-1/8" center handle hole. It will NOT fit any other size. 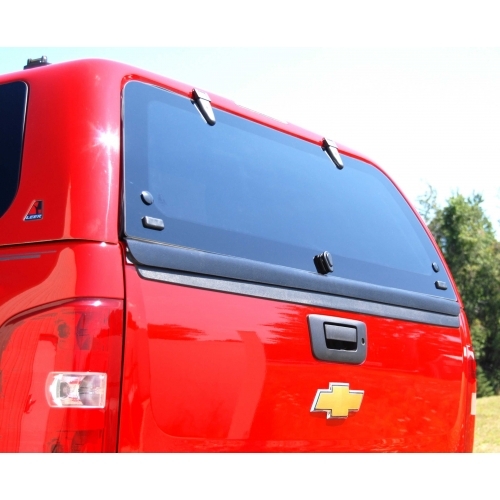 This handle was designed specifically for the truck cap and tonneau cover industry and as a result is an ideal solution for a long lasting, low cost secure design built to fit your needs. The zinc diecast patented design incorporates features like a swing open key cylinder cover, and e-coat under black wrinkle powder coat for a long lasting durable finish. The stainless steel internal deadbolt provides the installer a compact design that is simple and straightforward to install. Stainless steel internal components that are protected with o-rings and a labyrinth bushing-to-handle seal design for superior performance in harsh environments. 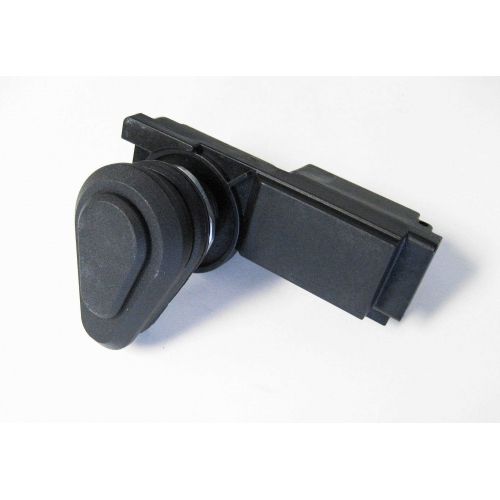 The part number for this item is PL9585.